It has long been apparent, that what is commonly known as schoolyard bullying can have tremendous negative consequences for the targets of the bullying. Our program has been designed to address this persistent problem. 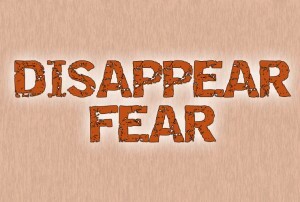 to reduce the fear and shame associated with being targeted by a bully. to allow students to observe the world from a bully’s perspective. Their guidance department will back them up if they are overwhelmed by the threats of a bully. Their appearance and presentation contribute a great deal to whether or not they become the target of a bully. To look at the world through the eyes of a bully. Strategies to use when confronted by a bully. Interviewing the Guidance Counselor: We invite the guidance counsellor, principal, or assistant principal join us at the microphone. The administrator explains what a student can do, if they are being bullied repeatedly and have no where to turn. Storytelling: A story is told about a boy who has been bullied by his brother. The story uses 3 audience volunteers, and demonstrates how a bully can unlearn anti-social behavior through interaction with others. Film: We have compiled footage from several different documentary-style films dealing with bullying. Featured in the film are children talking about being called names, children talking about how important it is to have a buddy, classroom teachers engaging the students about their experiences, former bullies talking about changing their conduct. It ends with an upbeat “hip-hop” song. The programs last 45 minutes and cost $400/ 1 program $250/ additional programs. They are appropriate for grades PK-5. The richness of this diversity can truly be a tremendous national resource. In order to achieve this potential it is critically important that our students are able to understand and respect each other. This program has been specifically created to foster understanding and respect by exposing students to the major cultures that form the American mosaic. Emphasizing unity and defining the common ground shared by all, the program is both enlightening and entertaining. The material is presented in an engaging and stimulating manner. It features fascinating audio visuals and lively audience participation including songs, movement, and tribal games. The program is geared to the level of the specific age group of the audience. I introduce the show by changing from my street clothes into the peasant garb worn by my grandparents in the Ukraine. I emphasize the point that all of our families, at some point in time migrated to North America. For Grades K-3, we take the students on a storytelling “trip around the world” through the use of volunteers, costumes, puppets, music and magic. A young boy, in order to have his dog returned, must solve this riddle: He must find five children who are completely different but exactly the same. There is extensive audience participation throughout. 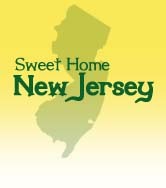 EXPLORING NEW JERSEY: Classroom activities to be used before and after the Sweet Home New Jersey assembly program. Find out how we can help save them. Human activities such as LOGGING, FARMING, DEVELOPMENT, and the PET TRADE have threatened the Planet’ s species in an unprecedented way. In our program on ENDANGERED SPECIES we examine the major HABITATS of the world including the Desert, Wetlands, Oceans, Rainforest, Tundra, and Temperate Forest. Through the use of large screen images, students observe the species that live in each habitat, the causes of endangerment in each area, and the species that have become threatened. During the course of this program, the student is exposed to the concepts of FOOD CHAIN, ADAPTATION, SPECIES, ECO-SYSTEM, and BIODIVERSITY. For grades K-3, we tell a story about a boy who is required to learn why animals become endangered after leaving his dog out in the heat of the Summer; he travels through 4 habitats and meets student volunteers dressed up as 4 endangered animals: a frog, an elephant, a dolphin, and a crocodile. He learns how they became endangered and things he can do to protect their habitats and the animals themselves. TAKE A TRIP WITH PROJECT RAINFOREST. Through our stunning visuals and lively presentation, we can bring the dazzling beauty – and devastating loss – of the world’s rainforests to life. Depending on your group’s needs, we can adjust the length of our presentation from 45 minutes to a full day. And we can tailor it to the size of your group – whether it’s one grade or an entire school assembly – and to your group’s educational level, from pre-school through graduate school. Describe the natural ecosystem of a rainforest, including its plants, insects, animals, and people. Appreciate the beauty and diversity of life in the rainforests. Identify everyday products that come from the rainforest. Discuss the relationship of rainforests to climate control and global warming. Identify ways to use rainforest products without destroying the habitat. Take steps to save the rainforests through personal and political action. We establish the importance of tropical rainforests in the areas of medicines, climate control, products, and endangered species. We use large color paintings of animals. We take the students on a “trip through the rainforest” via a group simulation of the sound of a tropical storm. We play tape recordings of animals we taped in Central America and then teach the students how to make the animal calls. We show a seven minute film of wildlife in Central America including images of mammals, insects, & reptiles, and loggers clearcutting forested areas. Using student volunteers, we demonstrate large props that represent products from the tropics: Chiclets, chocolate, tea, & rubber. Together with the audience, we discuss how these products are harvested from the Rainforest. We demonstrate ways that Tropical Rainforests are being saved through a school children’s project we support in Costa Rica. Information is provided about how your school can support the project and communicate with these children.